Nappy Valley Nannies was founded in 2008 by two professional mothers, Amanda Gerlis and Diana Keverian-Rand, who passionately believe that all children’s happy growth and well-being is paramount. Amanda previously worked as a professional nanny for over 15 years. She has worked with children of all ages and has a deep understanding of all requirements from a nanny. Amanda has used various agencies herself, and from the nanny point of view, she felt that some agencies were more concerned in making a placement rather than matching the right nanny with the right family. Now that Amanda has her own children, she has a fuller understanding of the requirements a mother would want in a nanny and felt that she could improve on the service of the existing nanny agencies by providing a very personal service. Diana Keverian-Rand has worked within a managerial and marketing role for large multinational companies, however, when she herself became a mother some 17 years ago, she left the rat race to care for her family. Diana worked as a nursery teacher and has been involved in all aspects of childcare and the running of a nursery. Diana knows that the importance of having the right nanny or carer is vital for your children’s wellbeing and confidence. 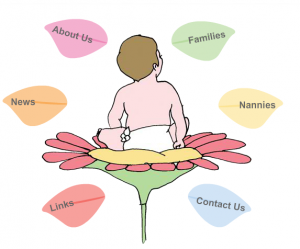 Nappy Valley Nannies was formed from a wish to make a difference in the childcare industry. We insist on having personal contact with all our families and nannies/ carers. We will never knowingly send an unsuitable candidate for interview, thus saving valuable time for both parents and nannies/ carers. Furthermore, we will stay in contact with both families and nannies/carers until everyone is fully settled and happy.